This month I found myself struggling with the task of finding a topic for this column. It is not that technology has flattened or become boring, just that I found nothing to talk about that really excited me this month. 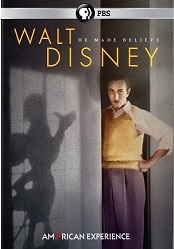 Then I remembered a topic that had excited me about a week ago, a discussion I had with someone about a book I recently read regarding life before the tech age really took hold and changed our lives. So, I thought it would be an interesting topic to take a look at here, sort of a philosophical look at technology and life in the technology age. The book is The End of Absence by Michael Harris. The subtitle is “reclaiming what we’ve lost in a world of constant connection.” The book starts out with the author describing a typical day at his job editing a regional magazine, a day filled with constant email, twitter and other social media checking, along with a healthy dose of projects that are started and stopped and restarted under the umbrella term of “multitasking.” Harris has an epiphany of sorts and goes on a personal journey of trying to tune the ceaseless chatter down, but this is not a book about a typical “let’s see how you fare without technology for a month” type of experiment. Rather, the book unfolds first with a philosophical look at the lack of absence in our busy lives and Harris cites a mix of scientific and psychological theories and studies to paint a picture of what is going on inside our brains now that we have all kinds of new technology to use to connect and find information in a flash. Along with the recounting of professional material, Harris discusses his quest to read War and Peace without distraction as a lead-up to the short discussion of his 30 days without technology and the conclusions he drew from that experiment. The essential take-away from the book is that we are in a fast-paced world (Harris even states that with a duh! ), but we are also losing something that cannot be replenished, a population of people who remember what life was like before the way we live today. Specifically, Harris defines this group of people as those born before 1985, or people who can recall having times when there was nothing to do but sit and relax or just enjoy a sense of quiet and being. As an example, the author recounts a story of how he used to sit on a hill as a child and just read or daydream. It made me think of how a summer vacation from school was often filled with the statement, “I’m bored, there is nothing to do,” that would turn into lazy days reading, just talking with friends, or sitting and thinking in a quiet environment. For those born after 1985, they have grown up in a world with electronic gizmos to distract during downtime or keep us connected when we are away from the office, so one always has the sense of being tethered to a task or conversation. I agree with Harris’s point that this is not overall a bad thing and the book is certainly not a rant against smartphones or a poetic wish that things could go back to the way they were, back in the day. Instead, it was more of a warning that it is in our best interest to keep in mind what periods of absence can bring to our mental health, work or even play. The idea being that periods of absence, times when we are not worried about twitter or the latest news on TMZ, even if it is just a few moments of solitude to reflect, come with plenty of benefits. I wonder if this might even account for the rise in popularity of mindfulness, meditation and other relaxation techniques – that a group of people familiar with the benefits absence brings are seeking ways to regain control of a busy world by getting some of those benefits back into their lives. 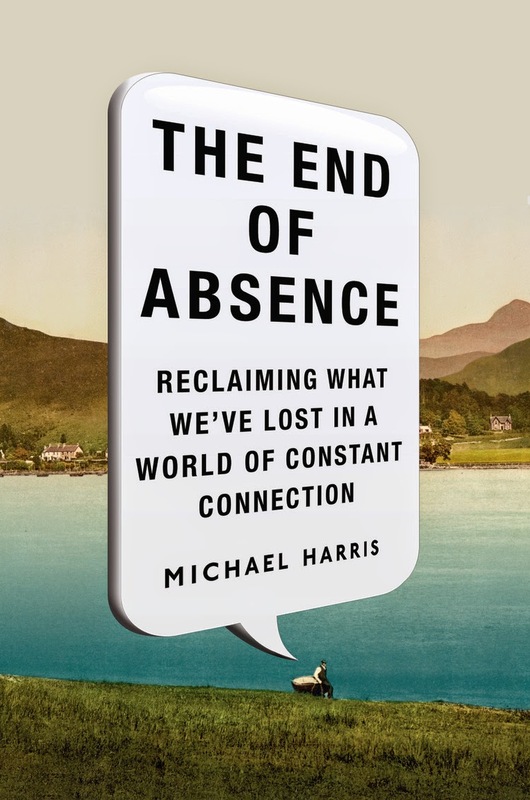 Some of the benefits of embracing absence that Harris explores include a better sense of self, a calmer existence, and better critical and creative thinking. Trust me when I say it is worth reading the book to see how the hyperconnectivity we experience today actually alters our brains and how we use them to review information, form opinions or use the data to apply to problems we have encountered at work or in our personal lives. Not to mention how much we tie ourselves up in judging our self worth on feedback received via instant replies on email or social media. One example that struck me is something I noticed about myself at work, that frequently checking email and answering the phone are actually not productive. Harris points out a few studies that look into multitasking and mentions that our brains can only do one thing at a time and, when we multitask, we are actually just setting one thing aside to focus on another, so the sense of multitasking comes from us picking up and dropping the same tasks several times. I reflected on this and realized my most productive periods are ones in which I ignore my email for a little while or do not have to deal with several phone calls or people walking in and out of the office while I work on a task, since the act of stopping and starting often also includes a period of “catching up,” where I have to recall what I was doing and refocus my attention on that task. While writing this post, for example, I have only been interrupted four times, but it is something that I have had to put aside at least a few times over the last few weeks because there was no time to concentrate on it with constant distractions. It is no surprise to me that I came up with the topic while out for a walk, away from phones, email, TVs and even that antique technology, radio. This echoes something my library director suggested a few weeks ago when she gave me an assignment, to just think about it while out on a walk and something would come to me. So it seems we all sort of know, even if not consciously, that there is a great benefit to putting ourselves into a period of absence in order to make life easier or richer by being able to take a deep breath and refocus on the tasks we have at hand without distraction and worry. Which brings us to the conclusions drawn by Harris at the end of The End of Absence. The author summarized them nicely himself in an interview with the New York Times, “it is not really about abstinence (from technology), it’s about trying to be conscious every day and of feeding myself a healthy media diet.” My suggestion from someone born before 1985 to you, readers, it to take that quote to heart and try to be more conscious of how much time you spend with your technology and, while you can still love all the gadgets that enrich our lives, try to take some mini “vacations” to explore the absences – even if you just clear your mind for a few moments by sitting and being mindful of how that pumpkin latte tastes or how pretty the sky is on fall days.